Men's logo hoody from Peak Performance. 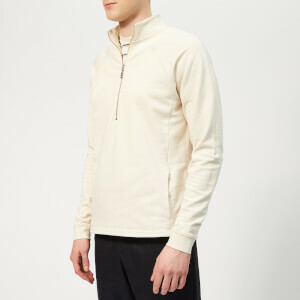 Constructed from a soft cotton blend with a fleece interior and a rib-knit hem and cuffs for a comfortable fit. 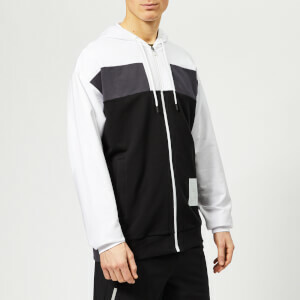 Detailed with a drawstring hood, a tonal zip front fastening and raglan sleeves. A split kangaroo pocket also features. Complete with tonal embroidered branding at the chest.